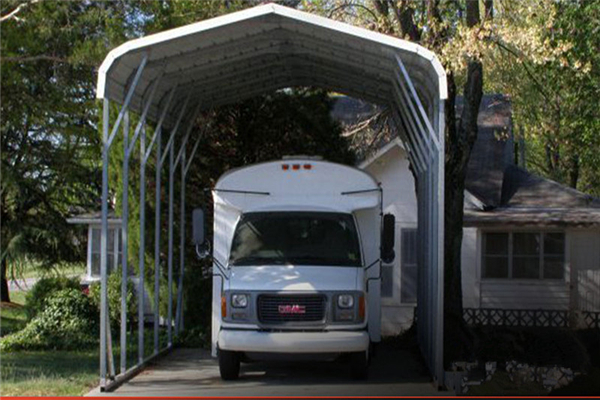 A metal RV carport is easy to set up and protects your vehicle from damage caused by harsh weather conditions. Many of our RV carports for sale have a roof with one or two walls; the differences in design depend on the specific model. 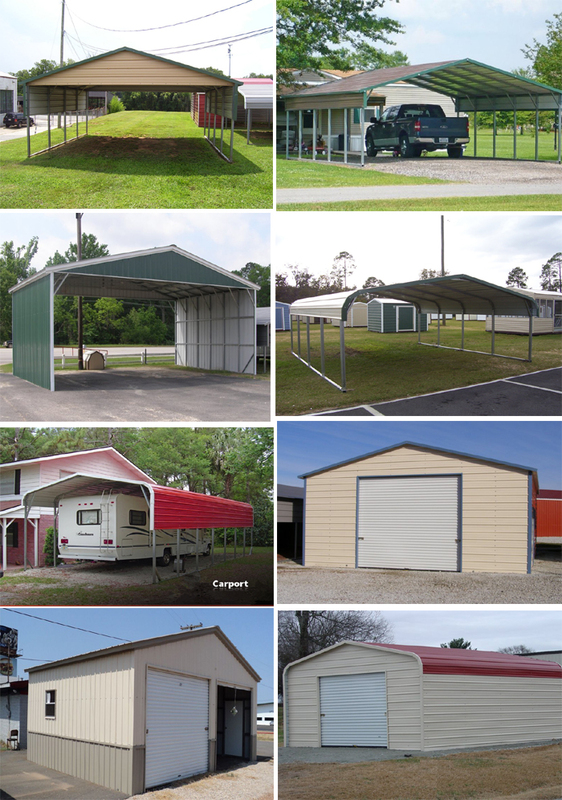 we are proud to provide a selection of covers and garages in a variety of sizes as well as more than a dozen color choices for the roof and trim.we want you to purchase the RV carport that meets all of your expectations! When you order one of our metal RV covers, you get a choice of three roof style: regular, boxed eave, and vertical. We strongly recommend a vertical-style roof for any RV shelter that is 41 feet long or longer.Because of the roof’s vertical sheeting, the snow slides off the side before it can accumulate. The regular and boxed-eave styles have sheeting that runs horizontally across the length of the building. 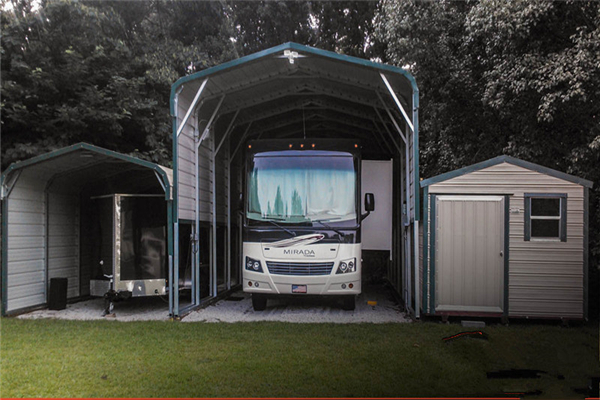 Metal carports are stronger and offer more protection than a cloth tarpaulin: Cloth can cave in and tear, leaving your RV vulnerable to the elements. 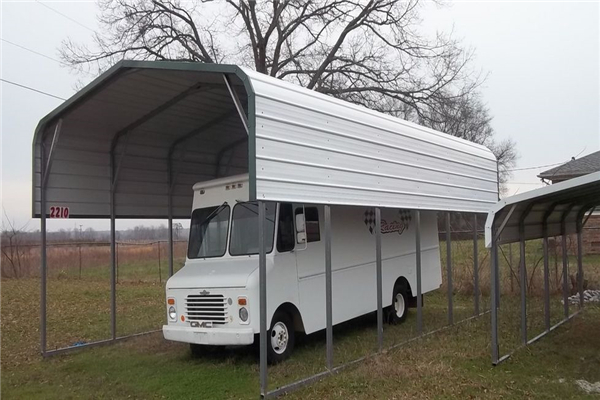 And you don’t even need to own an RV to benefit from having one of these carports: For RV owners, they offer protection for a costly vehicle, but if you’re not an RV owner, a portable RV carport can also serve as year-round shelter for your car, truck, motorcycle, or ATV. And once your carport is set up, it requires no additional maintenance. It is up to you to check with your local county/town and building permit office to see what permits are required. You are required to obtain any and all permits that may be required as the codes vary from state to state and county to county. 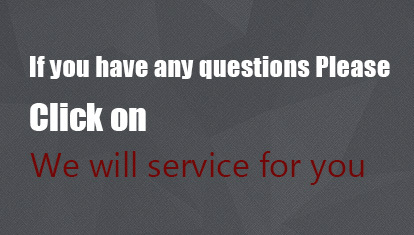 Also please make sure the location where you want to place it is ok and meets your set back requirements. How long does it take a carport to be installed? 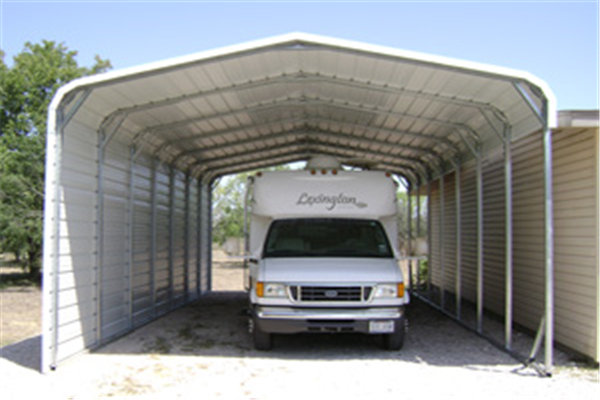 Most small size metal carports can be installed in a few hours. Larger carports or partially enclosed carports may take a half of a day or the better part of a day to be installed. Most of the metal garages take 1 day to install. The larger sizes metal garages may take up to 2 days to install. Difference between regular, boxed & vertical roof carports & metal garages? The regular style is the most affordable and is rounded on the sides. The boxed eave and vertical styles look exactly the same except the roof sheeting on the boxed runs length wise and on the vertical roof style the sheeting runs up and down allowing snow to slide off on the vertical roof style. 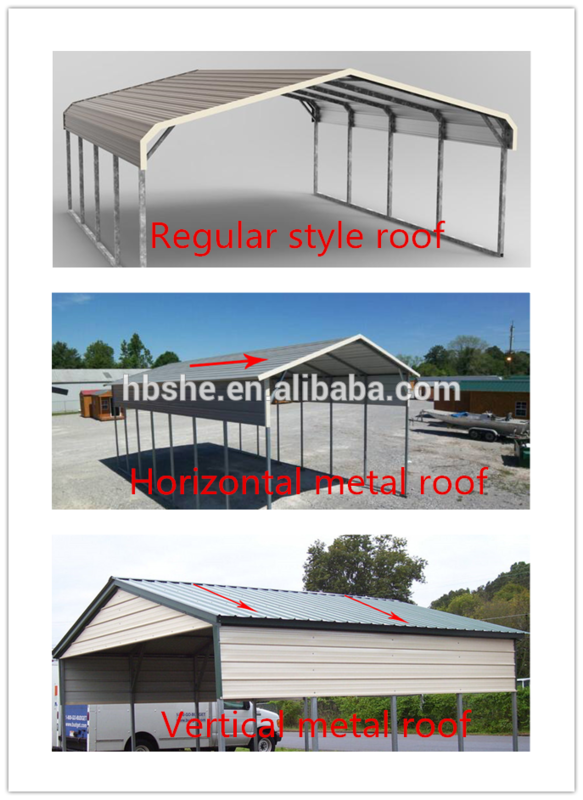 The vertical roof style is the strongest style. 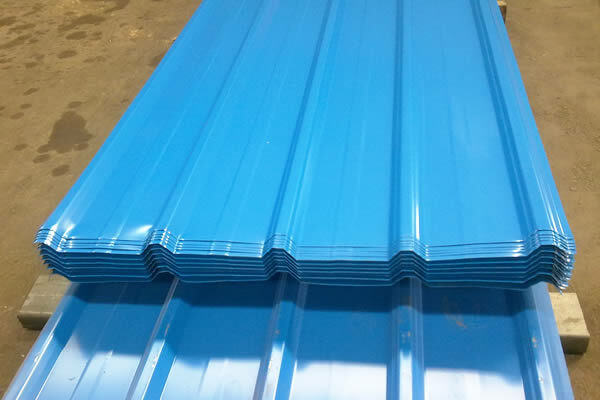 In order to have the roof sheeting go up and down on the vertical style there are metal cross braces that the roof sheeting is attached to which makes the vertical style even stronger but due to the materials and time it is the most costly of the 3 styles. Yes. We can customize a carport’s size, but we charge the customer the price of the next larger standard size carport. 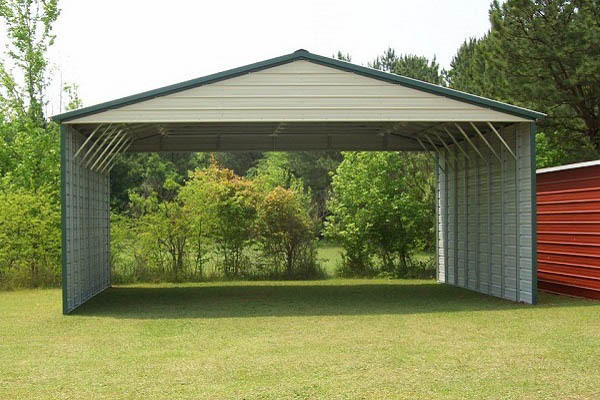 So for example, let’s say you need a carport 17' wide and the standard size widths are either 12' wide or 18' wide. We have to price it as an 18' wide carport. This same rule applies on the length. If you need the length to be 24' long and the 26' long is too long we can make the base 24' long but we’ll charge you the price of a 26' long carport. 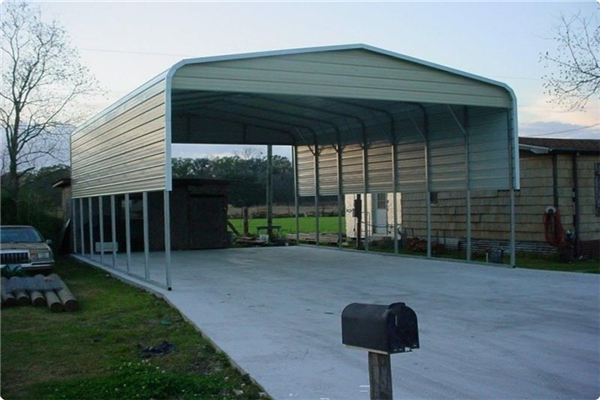 When figuring out the size of your carport, you should consider that when we say 26' long that includes a 6" overhang on the front and back ends making the exact base 25' long. 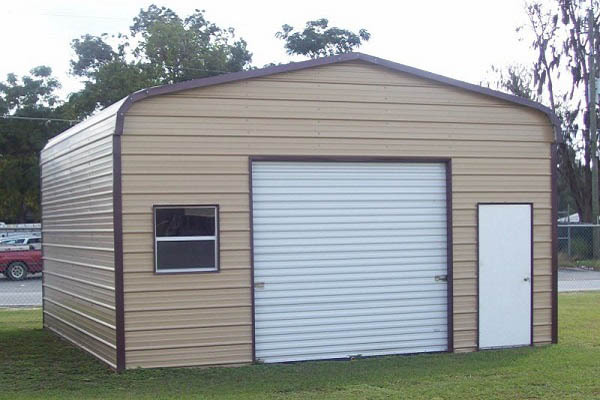 The most narrow carport available is 10' wide which would be priced as a 12' wide. How Do I Order My Metal Garage? Orders can be placed online or over the phone by calling 86-311-89607789 or send Email by steel-structure@sanhecg.com.